In addition to oxygen, hydrogen, and carbon, Plants need nutrients. Many of these nutrients are not as common in the environment and need to be replenished regularly. Fertiliser is how these chemicals and nutrients are reintroduced to the soil. The Macronutrients are Nitrogen, phosphorus and potassium. They are primary nutrients in any fertiliser and are critical for healthy crops. These three chemicals are necessary for life and thus are the main ingredients in fertilisers. Amino acids require nitrogen, a cell’s membrane and it’s ATP (which is like a cell’s energy source) requires phosphorous, and potassium is necessary for root development and disease resistance. Without the nitrogen, phosphorous, and potassium (macronutrients) in fertilisers, a plant’s growth rate will be limited and many not even survive. What’s the goal of fertilisation? 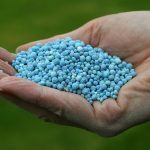 Fertilisers attempt to supply these elements in sufficient quantities so that a plant can thrive. 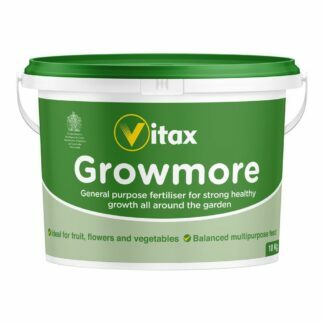 Lack of the nitrogen, phosphorus and potassium found in fertilisers is the biggest limit to growth. rephrase: Most fertilisers supply just nitrogen, phosphorus and potassium because the other chemicals that are needed in much lower quantities and are generally available in most soils. How do I know how much nitrogen, phosphorus and potassium are in a bag of fertiliser? On each bag of fertiliser are three numbers with dashes between them. These number represent the amount of Macronutrients in the fertiliser. As an example, lets say that you had a bag of fertiliser that said “10-12-8” on it. These numbers tell you the percentages of available nitrogen, phosphorus and potassium found in the fertiliser. So 10-12-8 fertiliser has 10% nitrogen, 12% phosphorous and 8% potassium. The inert material in the fertiliser bag. Its purpose is to help distribute the fertiliser evenly and prevent chemical burn. What other nutrients do plants need? Plants also need calcium and magnesium (these are called secondary nutrients) and the micronutients (boron, chlorine, cobalt, copper, iron, manganese, molybdenum, nickel and zinc), but they need them in much smaller amounts. Fertilisers come in two types: liquid fertilisers and granular fertilisers. A liquid fertiliser acts quickly but must be applied more frequently. Many must be diluted before being applied (the most common way to dilute the liquid fertiliser is to use a hose-end sprayer). Sulfur coated Slow release granular fertilisers, which lasts for about 8 weeks. Polymer coated Slow release granular fertilisers, lasting about 12 weeks. Lawn fertilisers help laws grow healthy. They are specifically engineered to the type of turfgrass you have in your yard and thus come with different levels of nitrogen, phosphorus and potassium. You probably want to research what type of grass is in your lawn before selecting a lawn fertiliser. 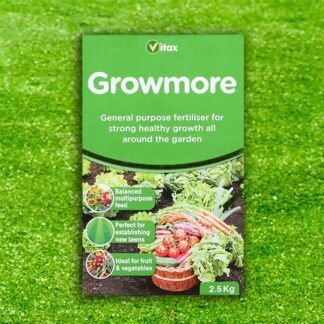 We also sell more general lawn fertilisers, but you are going to be more effective if you research a little first. Weed and Feed fertilisers in addition to nitrogen, phosphorus and potassium also contains some weed killer. Each Weed and Feed fertiliser treats different weed problems but can be grouped into to types of weed and feed fertilisers. Both post and pre-emergents must be applied at the right time or they will not work. Starter fertilisers and winterisers provide extra phosphorus for root growth they are applied to provide a boost to newly seeded lawns. Winterisers are used as a last fall feeding to promote off-season root growth. There are many organic fertilisers available and we have many listed on our site. Generally organic fertilisers are applied more frequently than synthetic fertilisers.